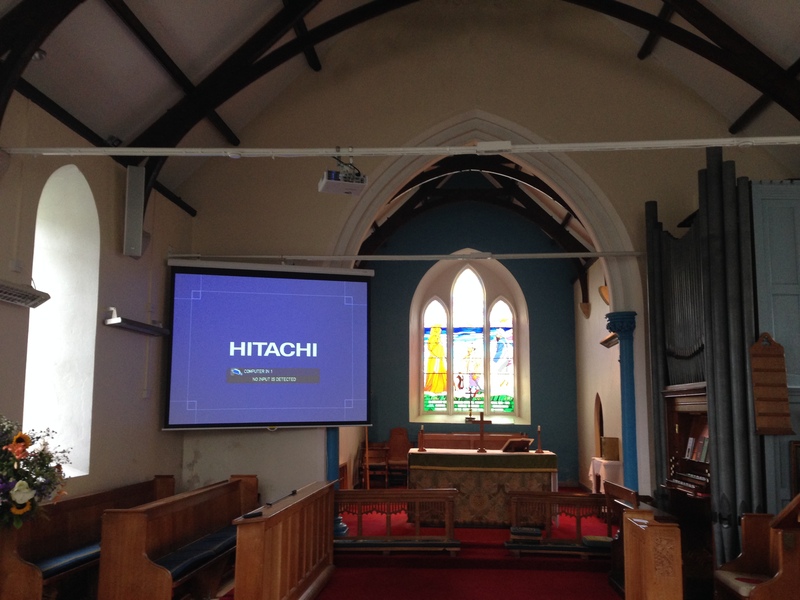 The installation of projectors and screens has been a large part of our business in the past several years. We have been responsible for installing projectors and screens in holiday parks across the UK literally from Land’s End to John O’Groats (well 50 miles short at each end!). They have been used as graphic backdrops on stage to enhance the entertainment. We have noticed a large increase in church installations too for providing images as well as hymns. Providing the correct projector for the task is important. DLP and LCD projectors suit different purposes and it is important to have a projector with the appropriate resolution, brightness and lens for the job. It will be no surprise that LED projectors are now available. With no lamp changing required and low power consumption these are ideal for projectors used continuously such as in museums.